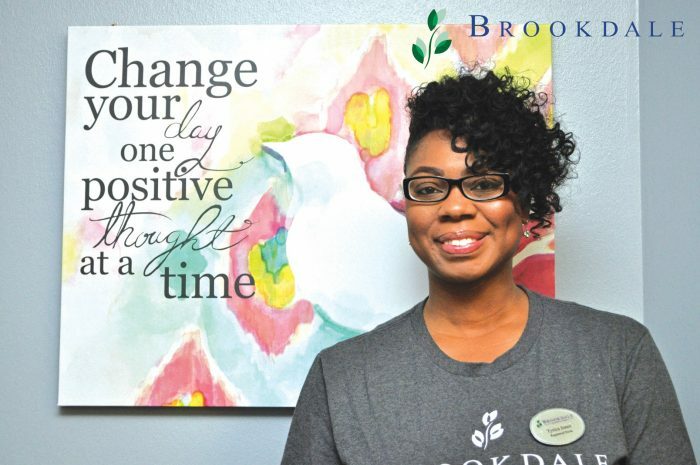 At Brookdale Home Health, you will find a friendly staff and excellent nurses; especially T.J. Jones, RN and Case Manager, who loves caring for others. Meeting one of the friendliest, happiest nurses that I have ever interviewed is T.J. Jones, RN, and Case Manager at Brookdale Home Health. It’s easy to understand why she loves her job and why her patients love her. Growing up in Denver, CO, T.J. moved to Oklahoma City, OK with her parents in 2007. “My parents had to relocate at that time so I came with them,” she said. “I still go back to Denver quite often. It’s always nice to go back, visiting my home town, seeing family and friends,” she added. What did you want to be when you were a little girl? “I didn’t even think about a nurse at that time. I just knew that I would be a model,” she laughed. “When I was in middle school, my grandmother moved in with my family. As I watched my grandmother’s health fail, I noticed how much my parents struggled to take care of her. I saw how they searched for a place for her to stay when they could no longer care for her. After she died, it had a big effect on me. I decided that I would be a nurse and take care of others the best I could. I am glad I made that decision because I can’t imagine doing anything else with my life,” she replied. A big part of T.J.’s life was when she went to nursing school. Her mentors at that time? “My parents were always my biggest supporters and I don’t know what I would have done if they hadn’t been there for me. Also, I had a very special friend in nursing school; her name was Cheryta Lane. She was always there for me in the ups and downs. She helped me in so many ways. It’s important to have someone you can count on,” T.J. replied. T.J.s favorite part of her job is caring for the patients and getting to know each of them in their own way. Her biggest challenge? Being an introvert. “I try to be more open with people but sometimes, communicating with them can get in my way. I guess you could say that I am working on being an extravert,” T.J. commented. What advice would you give to someone going into the medical field? “I would tell them to be certain, absolutely sure that this is their true desire. They would need to know that being a nurse is a gift. To be a nurse, they would need to listen to their patients and their peers. If they go into home health, know that there is a lot of traveling going to and from the other facilities and the patient’s homes. They need to realize they will be dealing with all types of people and environments. Make sure you are comfortable with the patient,” T.J. replied. On a personal note, when not working, T.J. enjoys spending time with her two daughters, A.J., eight years old and Khylynn, five years old, along with her third daughter, Jasmine, their four-legged Pit Bull. T.J.’s hobbies include shopping, spending time making You Tube videos with her daughters, reviewing toys, playing dress-up, along with all of the play make-up added for that glamorous look. In school, T.J. ran track, going to Nationals twice in long-jump. “I really miss those days,” T.J. said. “I really enjoyed it. I’m not sure I could do it now though. I still like to participate in all of the different walks for good causes and you know, Oklahoma has quite a few,” she added. Summing up T.J.’s life in one word, that would be, “UNPREDICTABLE,” T.J. answered with a smile. Nurses across Oklahoma are again getting ready to attend the Oklahoma Nurses Association’s annual Nurses Day at the Capitol. Each year the ONA organizes Nurses Day at the Capitol in order to help support nurses in having their voices heard in the legislative process. On February 26, the day will begin with an informational session at the National Cowboy and Western Heritage Museum, 1700 N.E. 63rd St., in Oklahoma City. ONA encourages all nurses and nursing students to get involved in the legislative process by attending Nurses Day at the Capitol. The day begins with an informational session held at the National Cowboy and Western Heritage Museum in Oklahoma City, followed by an opportunity to go to the Capitol and talk with legislators. *Hear legislative experts, legislators and ONA’s Lobbyist. 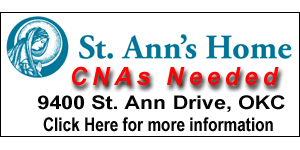 *Talk with legislators concerning the issues vital to ONA and the nursing profession. *Increase your awareness of the role nurses play in the political arena. 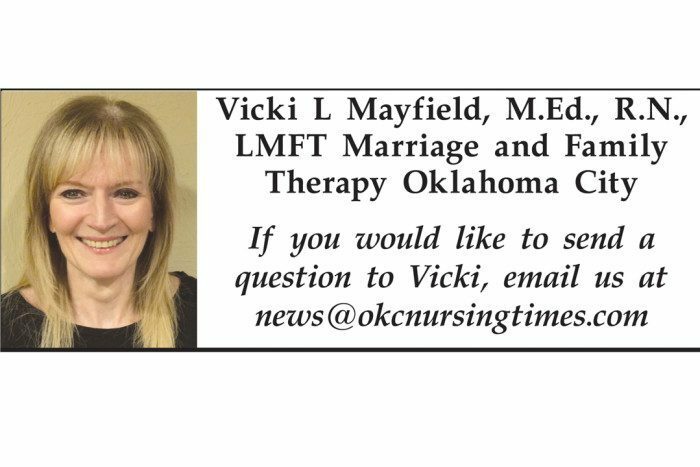 *Voice your concerns regarding legislation affecting nursing practice, patient safety, preventive care and health education as well as Oklahoma’s health status. Again, more than four in five Americans (84%) rate the honest and and ethical standards of nurses as “very high” or “high,” earning them the top spot among a diverse list of professions for the 17th consecutive year, according to annual Gallup survey. At the same time, members of Congress are again held in the lowest esteem, as nearly 58% of Americans say they have “low” or “very low” ethical standards. Telemarketers join members of Congress as having a majority of low/very low ratings. Gallup has measured the public’s views of the honesty and ethical standards of a variety of occupations since 1976. While the list changes from year to year, some professions have been included consistently over the past four decades. Majorities of Americans also rate four other professions as having “high” or “very high” honesty and ethical standards in the Dec. 3-12 poll: medical doctors (67%), pharmacists (66%), high school teachers (60%) and police officers (54%). With that in mind, Nelson says nurses collectively carry a strong voice when it comes to health care issues. The day serves as an opportunity for nurses to both educate and be educated on how their profession is affected by legislation. It’s also a chance for legislators to put a face with the people they are impacting. “We want to see nurses out there working on issues that relate to nurses. 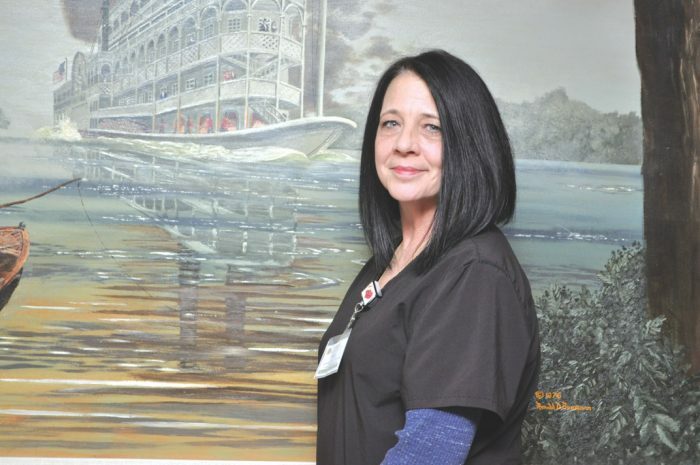 Whether it’s an LPN, RN or advanced practice nurse, they tell those stories the best,” Nelson said. 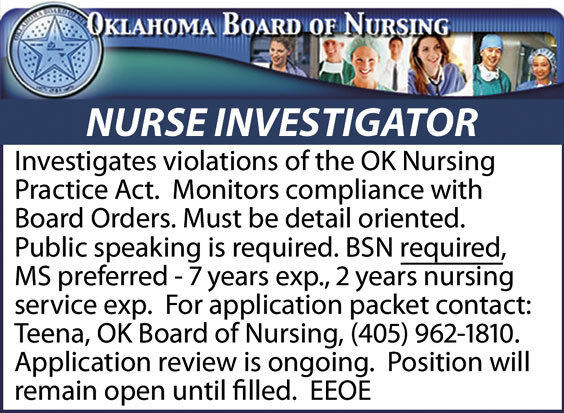 As a professional organization, the Oklahoma Nurses Association is a community of nurses from all specialties and practice settings that empowers nurses to improve health care. Each year, the ONA organizes a single day to arm nurses with the necessary information and give them the opportunity to discuss those issues with policy makers along with legislative priorities. 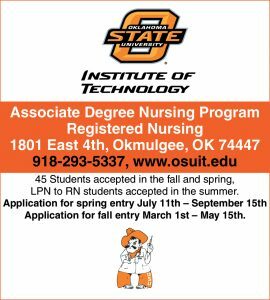 You can register online at oklahomanurses.org or call 405-840-3476 for more information. 11pm to 7am 4 on 2 off, and Double Weekends with Baylor Pay. 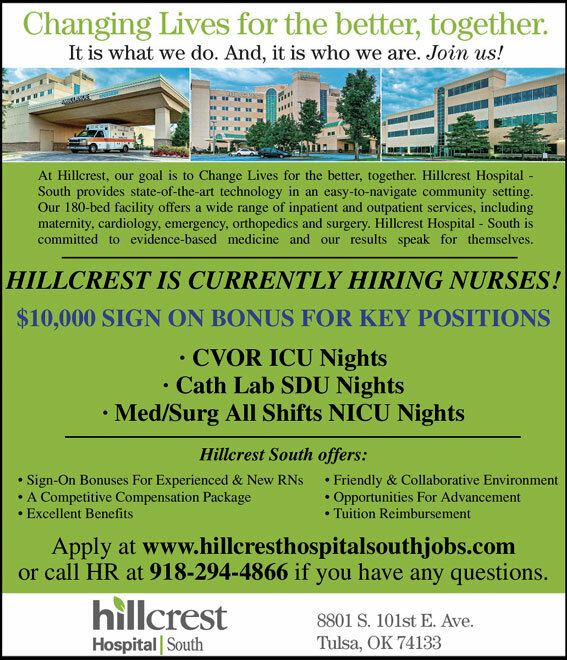 Bellevue is a family owned and operated nursing facility with competitive pay and benefits. We would love you to come join our family. 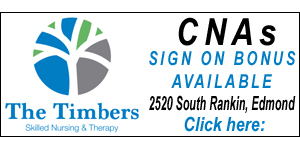 We are located at 6500 N. Portland in Oklahoma City. 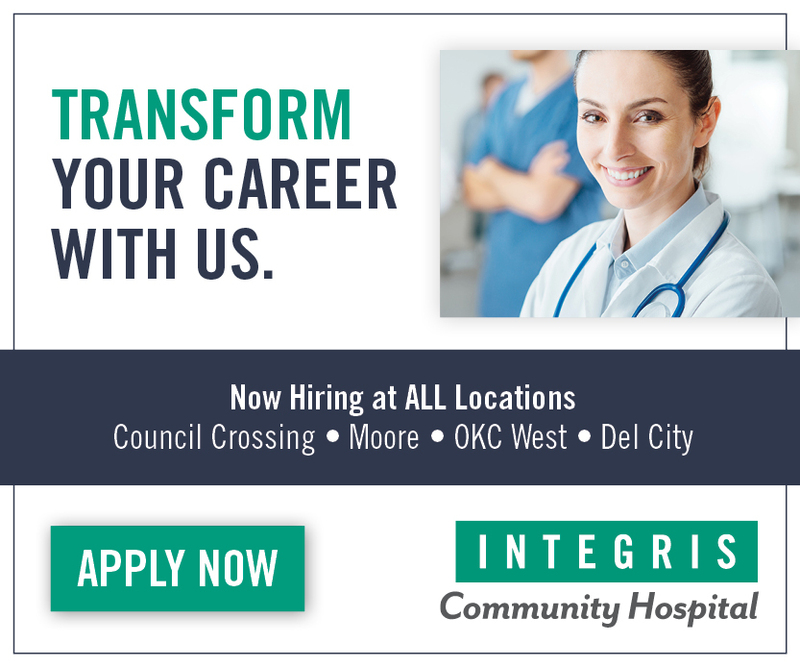 Please apply online at bellevueokc.com and click on the career tab. Stacy Hudson, LPN wears many hats as the Assisted Director of Nursing at Bellevue Health and Rehabilitation. Her main focus is taking care of the residents. In an age where the health care field is dominated primarily by large multi-family corporations, Bellevue continues to stand out as a true family-owned and operated business. The closeness and approachability of the Thompsons (the owners) ensures pleasant working conditions for staff and an easy, caring atmosphere for residents and guests of the nursing and skilled facilities. Families of patients and residents are pleased to be able to enter the facility with ease, and to be welcomed into an environment where visits from children and pets are not only accepted, but encouraged. Patients and residents all benefit from the added excitement. Every single day of the year, there is at least one Thompson member on site. Most days, there are many. It’s that special attention to the individual human being that sets Bellevue apart from the rest. 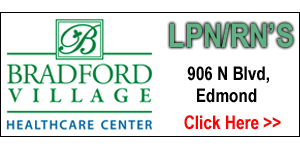 Here at Bellevue, you will find Stacy Hudson, LPN, Assisted Director of Nursing. With a friendly and outgoing personality, it’s easy to see why she was recently Employee of the Month. Stacy tells that she has been a nurse for 20 years, spending the last year and half here at Bellevue. “This is a great place to work,” she said. “The Thompsons are the nicest people. You couldn’t ask for a better family to work for. They make it easy to work for them, making the staff feel appreciated. They have such a big heart for all of us, along with the residents. ” she added. Stacy grew up in a town outside of Indianapolis, Indiana and moved to Oklahoma when she was ten years old. “My parents got transferred when they worked for Southwestern Bell. Did anyone influence you to be a nurse? “Yes, my younger sister who was and still is a nurse, two instructors when I went through nursing school and my childhood longtime friend. Even at the age of five, I wanted to grow up to be a nurse. I remember when my best friend’s grandmother made cookies for all the kids in the neighborhood. We all loved her so much. She ended up going to a nursing home. Of course, my friend and I didn’t realize what happened but we knew we were sad when we couldn’t see her anymore. It was at that time, my friend and I faced each other, repeating, ‘cross my heart, hope to die’ sealing the promise we had just made to each other; we would both grow up to be nurses! That was a long time ago. My friend lives in Minnesota now but to this day, we are both nurses. Guess we kept our promise to each other,” she said with a laugh. With her longtime friend, her sister and a few instructors in nursing school, these are the people that influenced Stacy to be a nurse. What are the qualities of a good nurse? 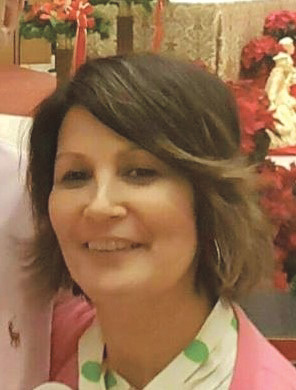 “I think a good nurse needs to have a positive relationship with the staff and residents, good time management, be detail oriented, knowing how to care about others, have a heart for the residents, care about what you do and have the ability to listen,” Stacy answered. “My advice for someone going into the medical field is to take the good with the bad, the ups with the downs, just know that there are all kinds of emotions in the medical field. You have to have a heart for it and each nurse has a specific calling of their own and you will know it when it happens,” Stacy commented. Stacy’s favorite part of her job is taking care of and getting to know the residents. Her biggest challenge is keeping the balance of keeping the residents and their families happy, along with keeping the staff happy. Although that can be a little rough at times, she always seems to manage to keep the balance. 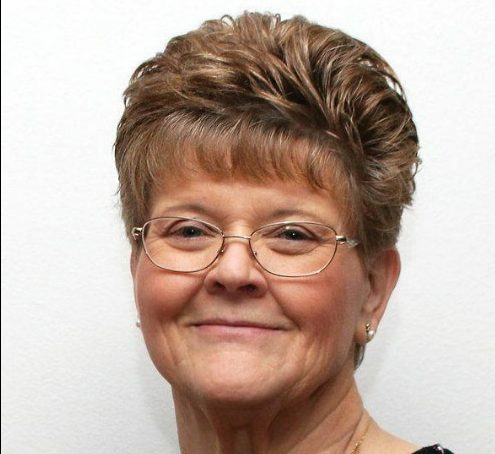 Shelly Wells, Ph.D., is the chairwoman of the Northwestern Oklahoma State University Division of Nursing. She lives in Broken Arrow. The recent Governor’s STEM Education Conference brought to light the plight of the state’s higher education financial crisis. Among other things, it has been suggested that registered nurses could be adequately prepared through the state’s associate degree programs. While there are opportunities for improvement, care must be taken not to cut the throat of Oklahoma’s already bleeding health care system. 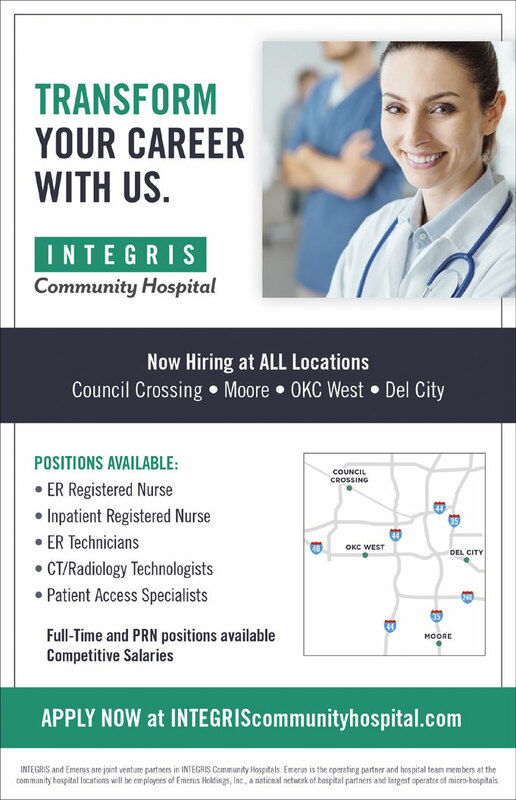 The largest sector of the health care workforce is made up of registered nurses, and there is a pronounced shortage of registered nurses on the health care team in Oklahoma. The health of Oklahomans is directly impacted by the lack of highly educated registered nurses. The complexity and technological advances in health care call for a well-educated nurse workforce. The 2018 Commonwealth Fund Score Card on Health System Performance ranks Oklahoma at No. 50 on overall health performance with the 30-day hospital mortality rate and mortality amenable to health care being two of the indicators that worsened from previous years’ rankings. 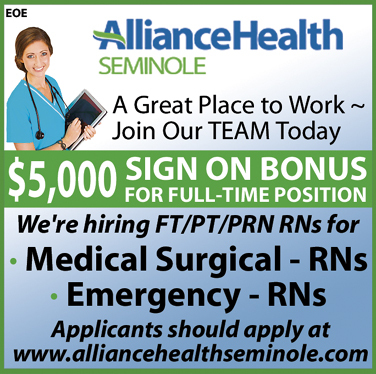 A wealth of empirical data demonstrates that a registered nurse workforce composed of 80 percent baccalaureate-prepared members results in lower overall hospital mortality rates, shorter hospital stays, fewer hospital readmissions and decreasing hospital costs. A report published by the Governor’s Workforces Council in August 2018 cited the increased demand for the hiring of nurses with bachelor’s degrees in hospitals throughout the state. RNs with a bachelor’s degree in nursing also are well-prepared to address health care issues outside of the hospital and in the community. Nursing faculty and advanced registered nurse practitioners in all health care settings must possess a bachelor’s degree in nursing before advancing their practice. 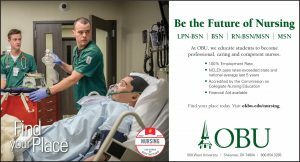 In Oklahoma, only 44 percent of the current RN workforce is prepared at the baccalaureate level; falling far short of the national goal of 80 percent called for by the National Academy of Medicine’s Future of Nursing report in 2010. States throughout the nation are engaging in efforts to increase their numbers of bachelor-prepared nurses instead of reducing them. One state enacted a law requiring all registered nurses to have a bachelor’s degree in nursing within 10 years of earning their associate’s degree, and other states are exploring similar legislation. 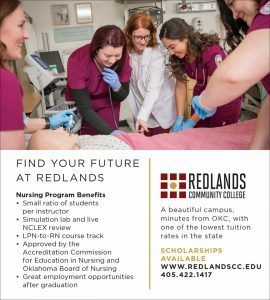 The joint efforts of the state’s community colleges and universities continue to be unable to produce the numbers of registered nurses needed for Oklahoma, and partnerships among these programs are being explored to boost the numbers of registered nurses with bachelor’s degrees in nursing. Education for registered nurses at the associate and bachelor’s degree levels is imperative to health care. 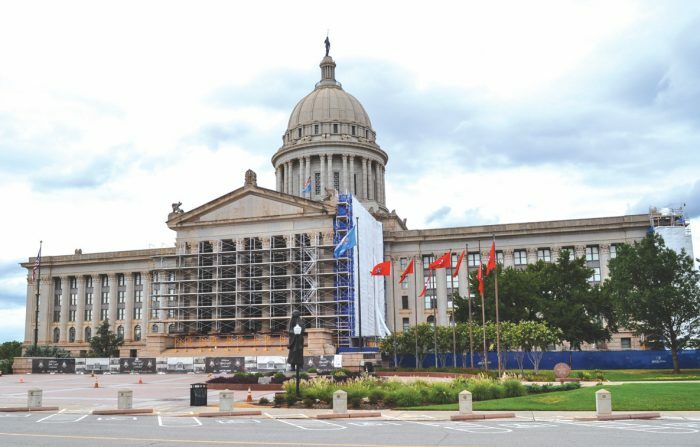 Any plans to curtail funding for development of bachelor-prepared registered nurses is faulty, short-sighted logic and a disservice to Oklahomans. Angela Archer has been a nurse for over 28 years and graduated in 1990 from TJC, now known as TCC in Tulsa Oklahoma. 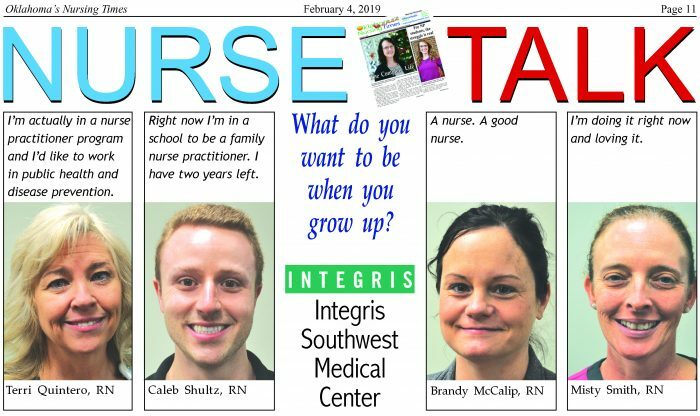 She has worked in the Medical-Surgical Float Pool at St. Francis Hospital in Tulsa recently returning to school and fulfilling her goal of completing a BSN. She is also planning to continue her education in a Master’s program in Nursing Informatics. Effective communication in all areas of life is essential. Communication in words or actions is very important to our daily lives and places of work. How we communicate to others can either make or break what we are trying to convey.Effective communication in all areas of life is essential. Communication in words or actions is very important to our daily lives and places of work. How we communicate to others can either make or break what we are trying to convey.I am guilty of complaining to others by blaming and gossiping. Has this solved any problems I see in my every day professional practice? No. No one wants to listen to a squeaky wheel “squeak” all the time. I was thinking about this and my verbal communication when I confronted another co-worker about their decision to delegate the day’s work. I confronted the person for the lack of teamwork and my unhappiness about the situation. In their mind they were doing what they thought was the best for their floor. In my mind I saw the situation differently. Who was right and who was wrong? I thought about that incident over and over. What can we do as nurses to work together and not against each other as we are in this profession of nursing “together” and not separately.I am not an expert in the field of communication by no means. However, I have been an observer and participant in the area of human interactions for the past 28 years through the eyes my nursing “goggles”. How do we voice our concerns for ourselves, our co-workers or even our patients while at the same time maintaining and retaining our professional image? I have also found many nurses (including myself) don’t speak up or notify their managers or leaders of a situation or problem that needs to be addressed. We just tend to complain and then go on about our business. Some, like myself, internalize and avoid conflict or fear being disloyal, being disliked and being labeled a troublemaker. So how do we voice our concerns in a professional manner and make our matters known without blaming or complaining or keeping them boiling inside?1. Know the rules of engagement. Follow the chain of command. You can’t start at the top of the food chain and work your way down. Sorry, that idea does not fly in any institution or business. I also let it be known to whom I am writing why I wrote what I wrote. That what I wrote is not personal, but a matter of trying to interject my point of view or opinion to help a situation that needs correction or monitoring.2. Face your fears. If possible, try and keep the issue between yourself and the other person(s). Working issues out together can be tricky but for the most part we all want to get along. Approaching the other with a non-defensive manner in speech and body language and using “I” instead of “you” can solve many a problem. 3. Like a boy (or girl) scout, be prepared. Have your facts in front of you as in our charting. Just the facts ma’am. I know it is easy to get caught up in emotions or take sides. By presenting the facts and not opinions, issues can be resolved and differences can be settled. 4. We are all in this together. As the songwriter and singer Prince sang “We have gathered here today to get through this thing called life”. We have and must work together. It is not about you or me or them, it is about us and the patients we serve. Think of not only how your words or actions will affect the other person or organization. Once you have said or written words in anger or hostility you cannot take them back. Write or verbalize what you see that needs improving or addressing for the good of everyone. A house divided will fall. We are all one big house and we need to build each other up, not down.We have all heard the term at our place of work “speak up and stop the line”. This means speaking up for what you see needs to be righted or addressed. Being silent and simmering on the inside does not a problem solve, grasshopper. It does as much damage as being verbally hostile. So next time you are tempted to lash out, “stop the line” on incivility with each other as problems can be addressed, finessed and solved. This is what defines us as human beings and as a nurse professionals. The art of nursing like life is a continual learning process and we can either choose to grow ourselves and our profession or grow down our profession and each other. I’m actually in a nurse practitioner program and I’d like to work in public health and disease prevention. Right now I’m in a school to be a family nurse practitioner. I have two years left. A nurse. A good nurse. I’m doing it right now and loving it. ASK VICKI: This column is dedicated to all the parents who are making parenting a priority. This column is dedicated to all the parents who are making parenting a priority. The words that you need to hear are “thank you.” I want you to know how much you are appreciated. The following are some suggestions entitled, “Traits of a Healthy Family.” Remember no one can do them all but many of you are checking off many of the boxes. LISTENING DOES NOT INVOLVE A CELL PHONE!!!!! *The healthy family affirms and supports each other. (This can be accomplished in a single parent home as well as two parents). *The healthy family teaches respect. (This is super important). *The healthy family develops a sense of trust. (Try growing up and not trusting). *The healthy family teaches a sense of right and wrong. (Children have to be taught to be responsible for their own moral behavior and it is the parent’s task to teach). John T called to set an appointment for his 8 year old son. I told him that I needed to speak to him first and he reluctantly agreed. He said his son, Craig was depressed and not sleeping well and thought he might need medication. I met Craig the following day. He was a cute little boy who looked sad and lethargic. He sat down beside me and we began to draw. He drew a picture of an adult man and young boy throwing a football. I asked if that was him and his dad. He softly said, “I wish it was but my dad sits in front of his computer and tells me he will play with me, then it gets dark and he says it is time for bed. He was very sad as he talked about his dad. It was now time to talk to his father again. I told John that I was not the person that John needed, nor did I think Craig needed medication. I told John that Craig needed HIM. I showed him the picture that Craig drew and shared his story. I suggested the best medication would be to spend quality time with Craig, especially throwing the football. I will never forget his question. (PS……that was the last time I saw John and his son).